Satin Rose & Birdcage Veil Cocktail hat, Vintage inspired. 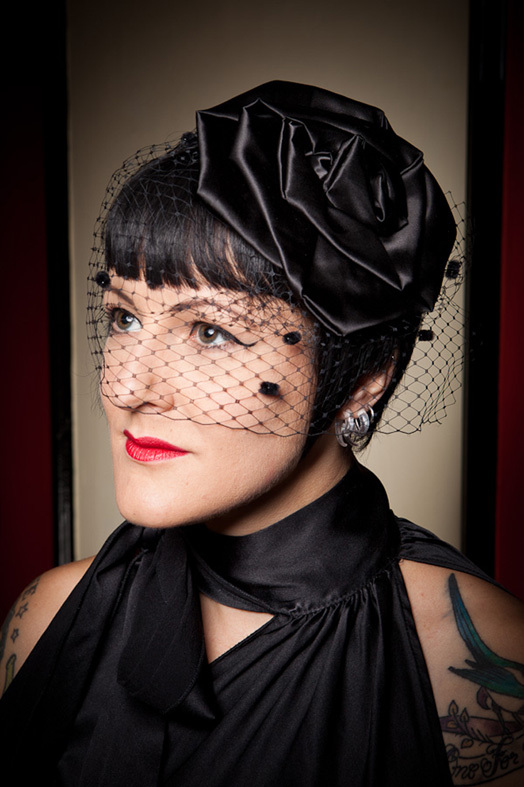 Large Satin Rose with Birdcage veil cocktail hat, fascinator. Very Classy and elegant. 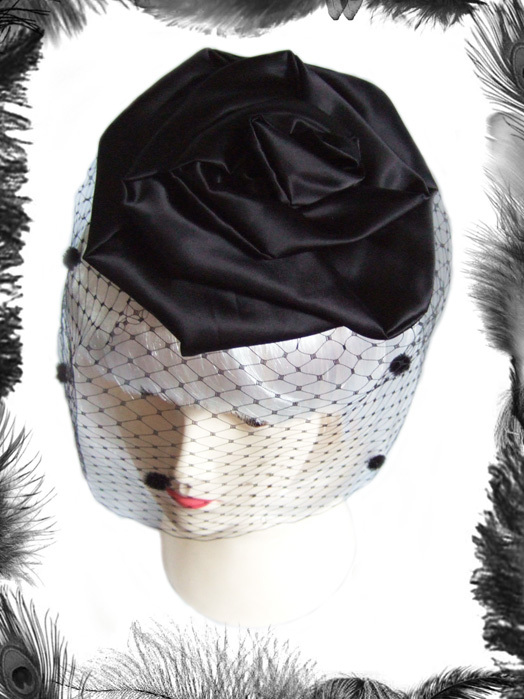 Perfect for Weddings, the races, burlesque nights and parties. Satin and veil available in many colours. 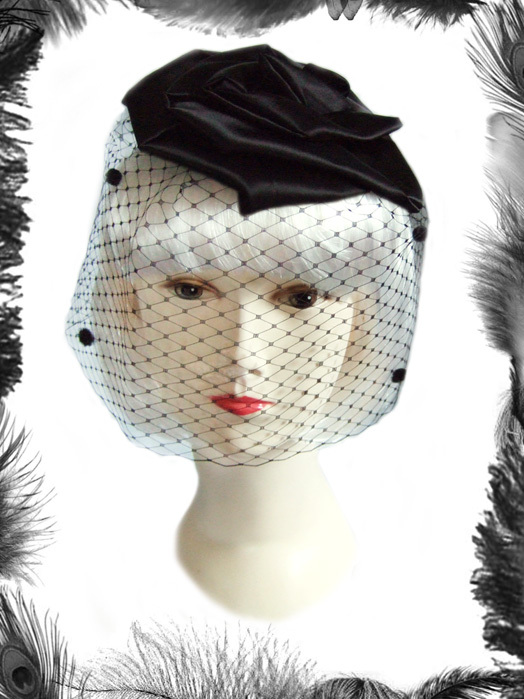 Veil colours available: Black, White, Red, Dark Red, Rose Pink, Purple. Satin colours: White, Baby pink, black, red, purple, silver. Other colours can be sourced for you, just ask! Size of Rose: 16 x 14.5 cm approx (as each is individually hand made size can vary a little). Large Hair comb attached underneath to secure to your hair. Another hand made original design from EmeraldAngel.